I love trick or treating. Because it is an event about neighbors- you go, you visit the people who live near you (or they visit you in cute little costumes), and everyone is a little bit closer and more connected. That is a big deal, as we all desperately need those connections in our life. That said, trick or treating is of course terrible for the environment. On that one days, millions of people hand out millions of tiny pieces of candy, each in their own plastic packaging. If you want to really be scared this Halloween, do a little research into where that plastic goes (our land, our wildlife, and our water) or what it does. It poisons us. It screws with our endocrine system and our hormones, being connected to things like earlier puberty, lower sperm counts, and even cancer. Lots of cancer. Even scarier? Every piece of plastic you hand out this Halloween will still be perfectly in tact when you die. It will still be around when your trick or treaters die. That tiny snickers wrapper will outlive us all (poisoning us every future generation along the way). Blech, if that doesn't give you the heebie jeebies, what will? Luckily, more and more of us are wising up to the danger of all this plastic nonsense, so we are seeking out better options for our trick or treaters and our world. These are the best plastic-free options that will make you a FAVORITE in the neighborhood, not a weird hippie pariah. Getting away from plastic is going to be the norm, you are just cool and ahead of the curve. JUST REMEMBER. We will recommend paper-wrapped candies, but some, like pixi stix and nerds are owned by Nestle. If you care about the environment, you basically have to avoid this company. If you aren't sure about a candy, somewhere on the packaging it will say who it is owned/distributed by. The bare minimum is that we stop supporting companies that push plastic and actively destroy our environment. 1. Local Candy. I know our local candy stores offer small chocolates (like Hershey Kisses) wrapped in foil. If you brought your own bag, you could get the candy without the plastic bag (and support a local business). 2. Dum Dums. These candies are wrapped in wax paper, not plastic, but they are hard to come by not in a plastic bag. Still, if you want the best of bad options, dum dums are probably it. 3. Jelly Beans. You could get jelly beans or other bulk candy at the grocery store and put them in little paper bags. 4. Fruit. Yes, have the confidence, be THAT person! 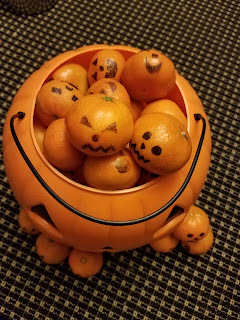 You can still make handing out fruit fun by decorating your oranges or bananas with little faces. 5. Chocolate or Yogurt-Covered Pretzels. Again, you can easily buy these in the bulk section at your grocery store. Then you can put a few in paper bags to hand out on the day. 6. Make your Own! You could buy one silicon mold (they have them for everything- LIST) and make your own chocolates. It might be a really fun project to do together, and even if you have to buy one bulk chunk of chocolate to start, you could find one wrapped in foil. 7. Foil-wrapped candy. Want to avoid plastic and be the most popular house on the block? Give out old-fashion candy bars, wrapped in foil or paper. You could also do Hershey kisses, but they usually are packaged in plastic bags. 8. Raisins. I know this sounds lame, but my kids freaking love raisins, and you most likely won't run into allergy issues. Might be perfect! 9. Leftover Easter Candy. Nope, I am not joking. If you get well-meaning candy from family at Easter or at Birthday Parties, throw it in a bag and bring it all out at Halloween. 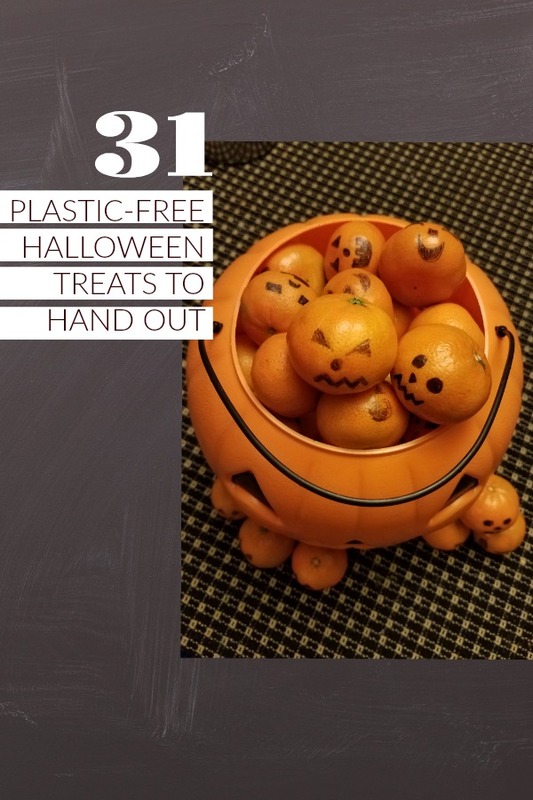 It may seem crazy, but it keeps things out of landfills, and honestly, most of the candy you buy at the store is probably not that new either. Before we even get started, YES I know. Most of us probably cannot pull these treats off, because parents don't want unwrapped things handed to their children. We trust plastic more than we trust people, which is its own problem, but you do really have to assess whether you live in a neighborhood with enough trust and familiarity to pull this off. Secondly, I would probably give two options, only because more common allergies like dairy and nuts come up a lot in these sorts of recipes. I love the teal pumpkin project, so having an option that is allergy-aware really makes a lot of sense. 10. Popcorn Balls. So fun to make! Perfect if you live in a neighborhood where you know most of the people. Just don't poison them, because that is not neighborly. 11. Rice Krispy Treats. You can make these quickly (or with a fun theme) and hand them out. Again, better if you are ballsy or have trusting neighbors. 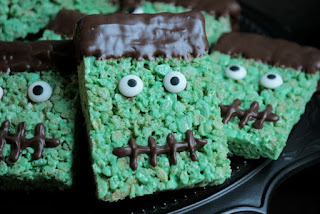 Before researching this, I had no idea just how many cute Halloween rice krispies are out there, but you have infinite choices, all adorable (my favorites are these Frankensteins from Big Bear's Wife). 12. Halloween-Themed Pocky Sticks. My kids would lose their mind. 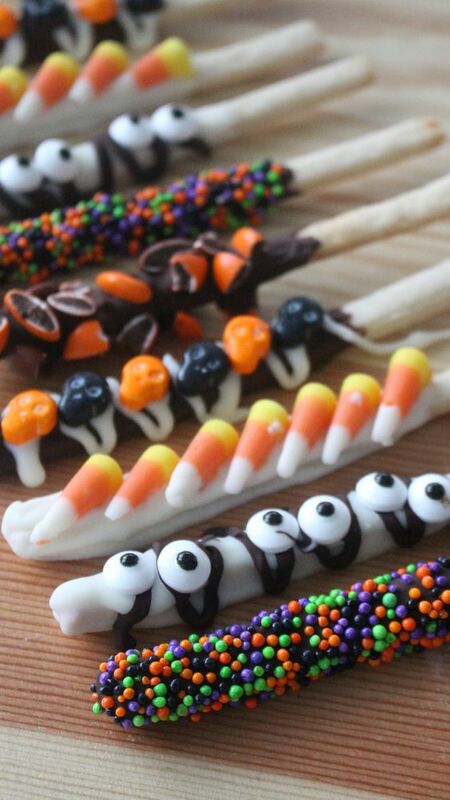 They love those freaking pocky sticks, and you could make these from Tastemade easily. 13. 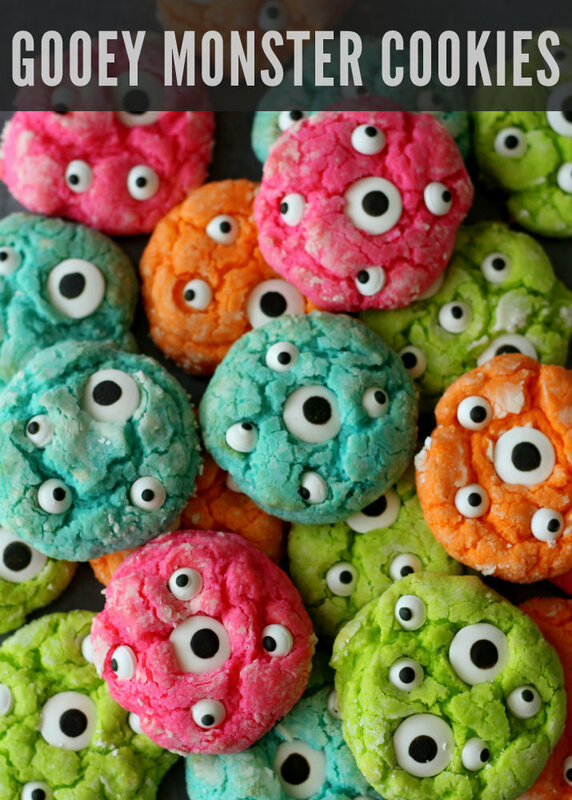 Monster Cookies. 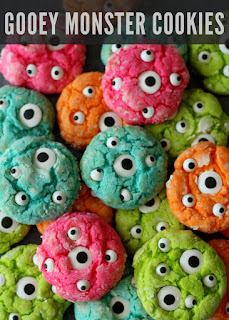 These cookies from Lil' Luna are ridiculously cute, and they definitely fit the theme of the day! 14. Chocolate-Covered Strawberries. 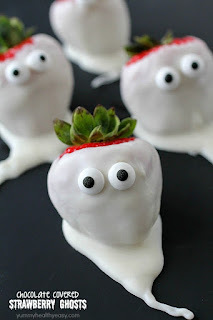 A little sophisticated for some kids, but these strawberry ghosts from Yummy Healthy Easy are freaking adorable. 15. Skeleton Cookies. 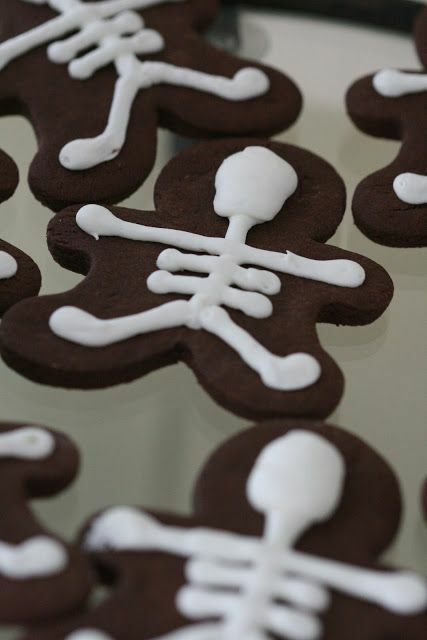 I am slightly obsessed with the idea of these chocolate cookies made into skeletons. So simple, but really fun! 16. Brownies. 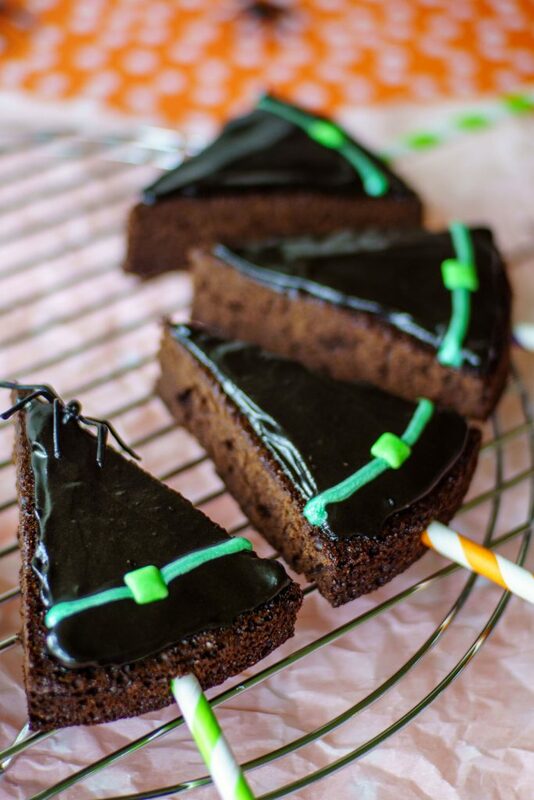 Another simple one to make, and I like these witches' hats from Major Hoff Takes a Wife, because they are pretty simple to make (and use paper straws)! 17. Painted Rocks. 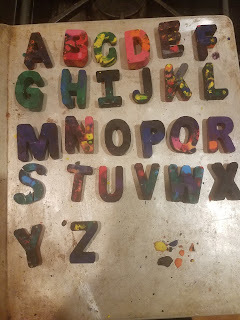 Kids love things where they get a choice, so paint a bunch of rocks like little monsters or animals, and let each kid pick one. You can do it every year, so they have little collections. 18. These Fabric Fortune Cookies. I just think these are the absolute cutest, and they are so simple to make! 19. Pencils. I like ones with funny sayings on them like the sell on BettieConfetti. 20. Seeds. Yeah, maybe this doesn't seem fun, but you could give pumpkin seeds or sunflower seeds and ask to see how huge they get in the coming year? Kind of like a fun challenge. Again, only if you know the kids. Being a creeper is never good. 21. Chalk. So simple, but so genius. Our kids can never have enough sidewalk chalk. 22. Crayons. You could go big and melt down your own crayons into a cool mold. If you are less ambitious, you could just buy a set. 23. Mini-Coloring Books. I love this idea, because you could just print some images out and make your own. 24. Washi Tape. You know what a great idea this is if you have ever watched a kid play with painters tape. Not the most zero-waste option, but the paper will decompose, and the kids will have tons of fun. 25. Small Notebooks. I love the little books from Field Notes or Decomposition books. 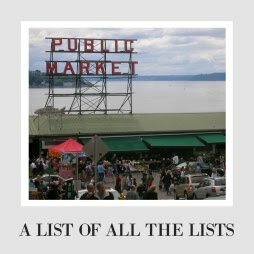 Another option would be to go to a secondhand craft store and just buy a pile of notebooks to give away. 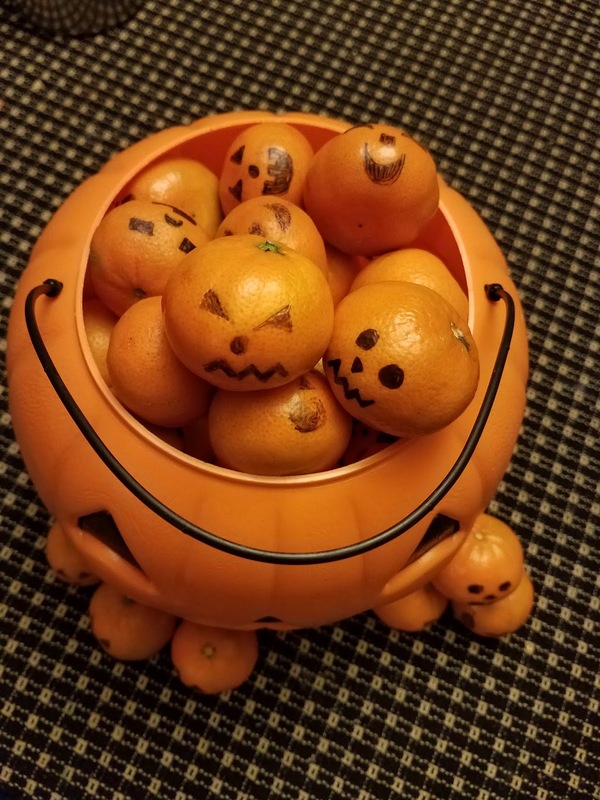 You could decorate them with Halloween stickers, or just let the kids use them for whatever they want! 26. Yo Yo's. Ok, most yoyo's are plastic now, but if you don't have many trick or treaters coming, these wood ones are a pretty solid option (and made in America). 27. Toy Cars. Hot tip- you can go to any secondhand store and find a bunch of metal hot wheels in bags and ready to go. This, to me, is the perfect solution, because you are keeping toys out of landfills, and tons of your visitors will be so excited! This could also work with any small toy. You could just buy a couple of random bags and let each kid pick! 28. Slime or Play Dough. You could make your own and put it in a little glass mason jar. I love this "monster slime" recipe from Lemon Lime Adventures or this play dough recipe from The Pistachio Project. 29. Reusable Candy (or Shopping) Bags. Our neighbors gave us cute reusable bags a few years ago, and we still use them! 30. Wands. Tell me you wouldn't be psyched to get a magic wand as a kid (I mean, I still think that would be cool as an adult)! You can make them yourself (here is a super fun diy from Red Ted Art) or buy them from a Dash of Eccentricity. Have an amazing trick or treat and make friends with a new neighbor! 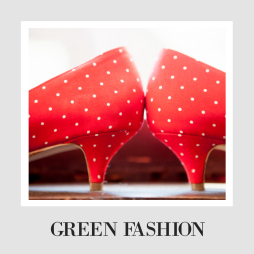 If you want more green holiday tips, check out the Green Family page! Ok, I'm on board with all except the fruit and the raisins. Lol! I can't be THAT house. One of our neighbors gave out walnuts one year. That was a bust. But the other options are super cute! I'm with Megan on the raisins, the fruit is kind of cute.. but I can't be THAT house either! LOL I do LOVE the eco-friendly aspect! We definitely need to be more conscious of how much plastic is used during the holiday times! I love decorating during this time of the year. My kids are excited for this coming Halloween. I have not bought much decorative stuff because I've been busy. Following some of the ideas that you have here. i dont accept unwrapped treats not because of poisoning fears, but you just don't know what kind of kitchen they come from. but if youre brave enough, go for it!